Africa, which as a whole constitutes the FIDE Zone 4, have dropped the continental team championship back in 1994. From then on, only rapid team events have been organised in conjunction with quadriennial All-African games, but because of fast time control these cannot be considered official championships. 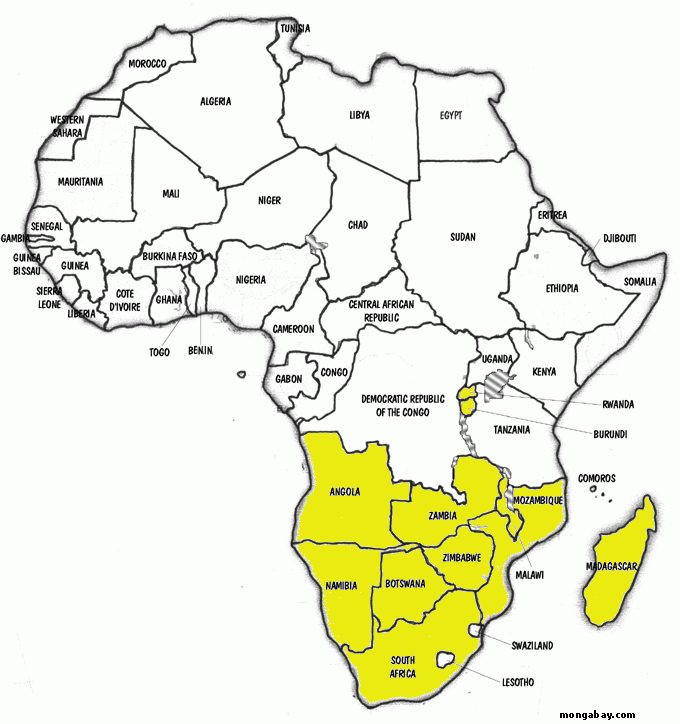 Zone 4 is divided into three sub-zones, and the following 12 federations belong to the Zone 4.3: Angola, Botswana, Burundi, Madagascar, Malawi, Mauritius, Mozambique, Namibia, Rwanda, South Africa, Zambia and Zimbabwe (see picture on the left for visualisation, click to enlarge). In 2008 Mr. Pedro Chambule from Mozambique, the president of Zone 4.3, decided to face the challenge of hosting the very first serious international chess event ever in Mozambique. Five teams arrived including continent leading South Africa, who took hard fought gold, half of a point ahead of Angola. Obviously the winners are hoping to acquire 2009 World Team Championship spot due to lack of Panafrican team event.